So, there's been quite a bit of buzz and I anticipate a bit more after Free Comic Book Day. But Larry Hama is returning to his original continuity with G.I. Joe. 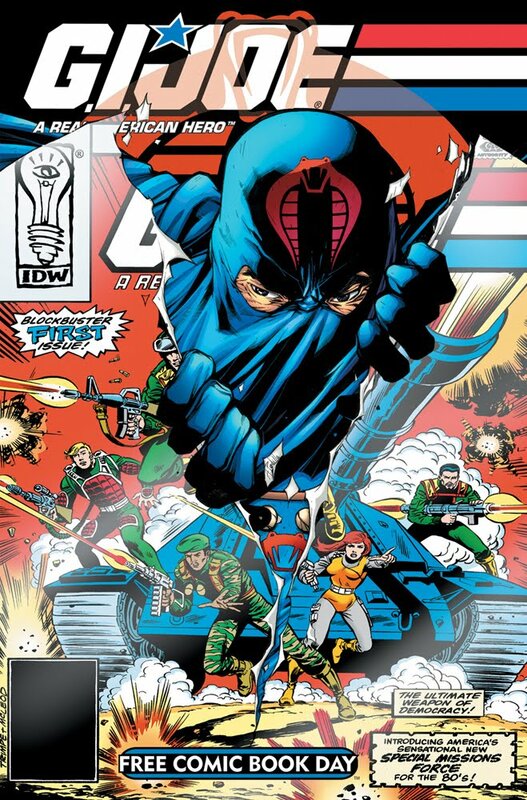 The original series ran an astonishing 155 issues. For any comic, that's huge. For a licensed book, that's unprecedented. So, I figured I could say this all in some interviews, and I'm sure I will, but I thought it might be fun to peal back the curtain a little bit to give you guys a glimpse at some of the business side of things on how a project like this happens. Let's be honest, there are many fans who have wanted Mr. Hama (yes, I call him Mr. Hama when talking about G.I. Joe) to return to his original continuity for a long time. So, before we get into why it's happening now, its probably just as interesting to ask and then answer (and I can really only guess) why it hasn't happened before? 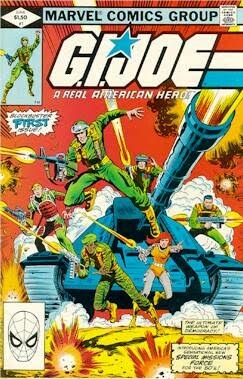 After Marvel stopped the publishing G.I. Joe, the comic book license languished for a while before Devil's Due picked it up in 2001 (someone feel free to fact check me there). DDP launched their G.I. Joe series, under license from Hasbro, same way Marvel did, with a continuation of the continuity that Marvel had established. Fans were happy about this. DDP decided to give it a five year gap between Marvel's #155 and their own first issue. But what DDP didn't do was bring back Mr. Hama. Instead, they used their own creators. Which, to my mind, is totally valid. No argument from me on that. But eventually, they brought Hama back. 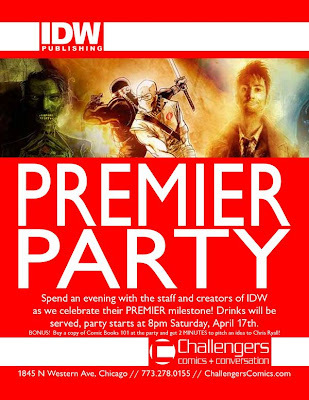 If I was to speculate as to why no one has done what IDW is doing with G.I. Joe before, I'd guess that Hasbro was probably not all that interested in looking backwards. While the company is very much aware of what has come before and upon whose shoulders G.I. Joe as a brand was built, they also are looking for what to do next. Strategically, from a business standpoint, to do any different means death in the market place. DDP lost the license roughly two years ago. IDW Publishing quickly snatched it up and relaunched the franchise with a fresh start, geared more towards adults. I was hired to edit the relaunch and took a hand in shaping it from that perspective. The new relaunch (now in its second year) has been very well received and is doing great. Hasbro is happy with it, as is IDW and most fans are into it, too. There's no doubt it's been a success. So, why now, would we want to "look back" at what has come before? Well, the answer to that is pretty simple, we don't see it as a look back. We see it as diversifying the line. Mr. Hama is not under any strict marching orders, but his book was originally intended for a younger audience and the universe he originally created is good for that. Oh, there are adult themes and some adult violence, but that universe lends itself to a more colorful approach. So we're reaching out, not just to the old-school fans from back in the day, but also to put a comic out with G.I. Joe on the stands in a format that's, in theory, appropriate for a younger audience. Any parent shopping for his or her child should be cautioned that G.I. Joe is military fantasy. So a parent may not feel it is age appropriate. Please read the content before handing it to your young child. I recommend that for any and all comics, but it's worth noting here again. When I initially took the idea of continuing G.I. Joe: A Real American Hero to Mr. Hama, I asked him at what point in the time line he'd want to pick it up. He suggested right after issue #155, where it originally ended. I then asked if ti would fill in the gap between that issue and where DDP picked up five years later and he said he didn't think that was a good idea. He'd rather not be tied down to what DDP published. I agreed. Did I mention that I call him Mr. Hama? And that's how we got to the point where we could relaunch G.I. Joe: A Real American Hero. Now, before we got cooking on it, I spoke with Mr. Hama about the notion of competing with his own nostalgia. Or, more accurately, with fans's nostalgia of Hama's work. That's a really tough thing to go up against. But Hama turned in the plot and we took it from there. He's right on target and the comic very much feels like an older Joe comic, without actually being exactly like one. Choosing artist Agustin Padilla to handle art chores was a big help in that regard as well. He brings a kinetic sense from the 90s but is also able to tell a compelling story. He's got a lot of flash on top of his storytelling substance. I think he'll turn a lot of heads in the months to come. It's no easy feet to jump into a book that is so well loved. It's intimidating, and I've seen some artists get stage fright from such a gig. But not Agustin. He just dived right in and made it his own from day one. Whether you're a long-time Joe fan or a someone interested in trying out the latest G.I. Joe book, give this a try on Free Comic Book Day (first Saturday of May). It's free after all, and it just might capture a feeling you haven't experienced since 1983.